The way you approach a film as a director, screenwriter or actor, can be quite similar. It revolves and evolves around story, structure, and characters. Episode 55 of the SBP Podcast is a discussion with actor Jed Brophy. Jed has years of experience acting in many films you have probably heard of, Lord Of The Rings, The Hobbit, King Kong, District 9…just to name a few. Jed is one of the principal actors of Blue Moon shot in New Zealand. We spoke with Jed Brophy, who is in New Zealand – Aotearoa. He shares a bit of his career and experience as an actor in the feature film Blue Moon, shot entirely with the iPhone. Blue Moon was written and directed by Stef Harris. Jed is an actor who has worked in many films. He’s also had the privilege to work in a number of Hollywood films. 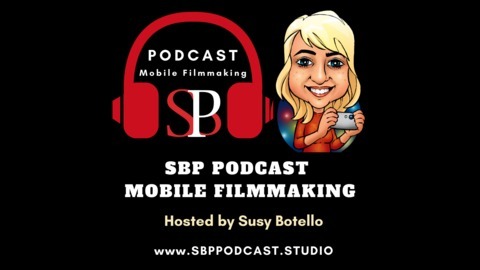 The stories he shares about his experience in both, traditional film and mobile film will inspire anyone thinking, or wondering about whether to dive into the world of making films using smartphones. You don’t have to make a feature film, but you need to start doing it at any capacity to realize the potential of what you can achieve as a filmmaker and storyteller using a smartphone camera. Jed Brophy shares how the longest take in Blue Moon took about 11 minutes, due to the extensive dialogue in each scene. They broke the 85 minute feature screenplay into several parts for their performance during production. Blue Moon was filmed in a total of about 30 hours in a single location. Jed shared the differences between working on a film like Lord Of The Rings and Blue Moon from a personal perspective. The budget and cost for Blue Moon was about $12,000. Jed explains how one of the differences between large action films and a mobile film, has to do with the number of stops and takes for each scene during production. When you have a big crew, much equipment and action scenes, such as in Peter Jackson’s films that Jed has worked on, there are many things that can go wrong. For a shadow that does not belong in a shot, to many technical malfunctions. All the stops extend the time of production and you end up with a few minutes of usable footage in a typical day. Wherein a mobile film like Blue Moon, you end your day with about 30 minutes of usable footage. Jed shares specific differences in crew size and equipment, which can also lower the production time in a mobile film set’s production. Jed has played creatures in some films. He’s had to endure hours of makeup and prosthetics prep. He shares the experience of that experience. Jed also compares the difference and process he goes through playing creatures versus human characters. 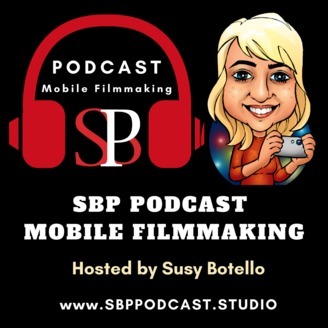 Listen to this episode to listen to the entire conversation, including Jed Brophy’s projects and his views on mobile smartphone filmmaking. Jed shares great tips and advice on making films using smartphones. He also shares a few stories regarding his experience working with Peter Jackson and the film industry in general. Jed Brophy is very excited about the potential of making films using smartphones and his views are very inspiring. What does Jed Brophy think about the future of mobile filmmaking? Listen to this episode and find out. Jed was also kind enough to send a message to the filmmakers taking part in the International Mobile Film Festival in San Diego April 27 & 28.